The 2019 Mobile World Congress (MWC) event will take place later this month. Certainly, not a few smartphone manufacturers have prepared themselves to enliven the annual event. Yes! One of the smartphone manufacturers that will enliven this MWC 2019 is OPPO. Even so, it is strongly suspected that a smartphone manufacturer from China that follows Xiaomi in the global smartphone market will not introduce its new products there. OPPO will only showcase some of the latest innovations they have successfully developed, including the latest camera technology. 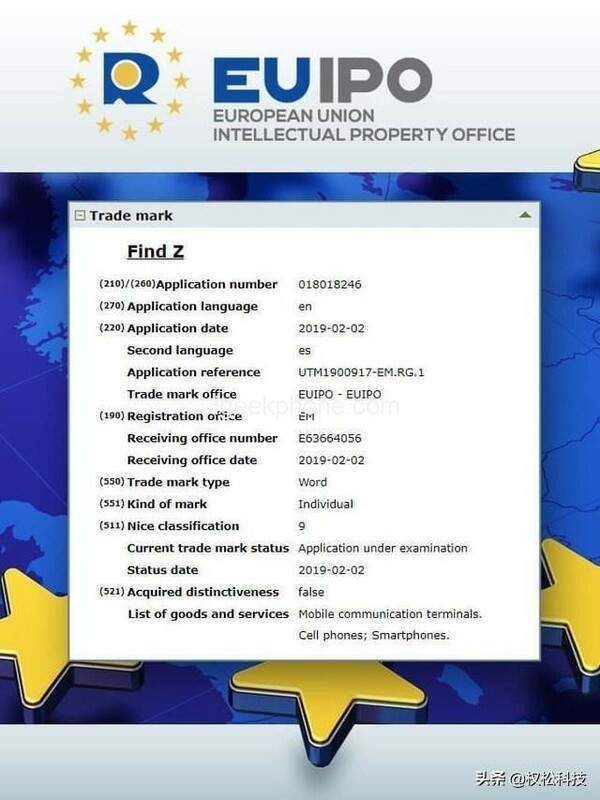 According to the documents filed by the OPPO to the European Union’s Intellectual Property Office, they will present its future flagship smartphone named OPPO Find Z. Allegedly strong, this smartphone will be the successor to the Find X OPPO which was introduced last year. Although the specifications of this smartphone have not been leaked on the internet, the same device was previously seen as being registered with Geekbench. Noted, this smartphone is coded “Poseidon”. 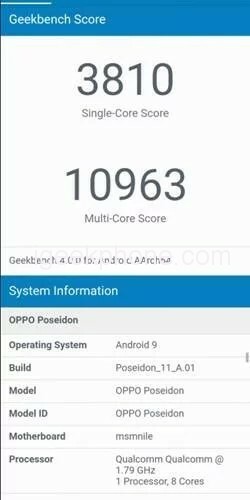 In addition, Geekbench has also revealed the key specifications of the smartphone. Poseidon or OPPO Find Z is expected to be supported by Qualcomm’s latest flagship chipset, the Snapdragon 855. Yes! This is the first commercial chipset to support 5G connectivity. The question is, is it possible that OPPO will complement Find Z with 5G technology? OPPO Find Z adopts the Punch Hole screen design and the screen ratio is further improved. The left and right bezels are also very well controlled and its chin has been greatly reduced. Previously OPPO also launched a 10x hybrid optical zoom technology to enhance the photography experience. Therefore, it is possible that OPPO will embed the latest technology into OPPO Find Z. That is, this smartphone will have three rear cameras, where there will be one pinned lens that has variable openings like those introduced by Samsung. This is combined with a 10x hybrid optical zoom and night mode feature. 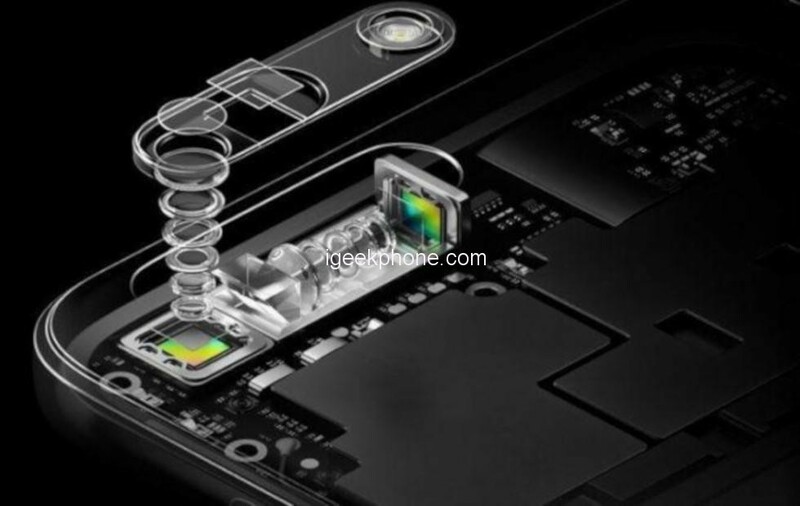 Another possibility is that OPPO will enrich the cameras in OPPO Find Z with Time of Flight 3D technology. In addition, OPPO will also package this smartphone with enhanced fingerprint under the display. As a flagship smartphone that launched this year, of course, OPPO will provide Find Z with the custom ColorOS 6 interface based on Android 9 Pie. The battery sector will also be a selling point with Super VOOC fast charging. Unfortunately, the planted battery capacity is still mysterious. Meanwhile, OPPO is ready to launch OPPO F11 Pro in the near future. This smartphone itself has successfully passed certification bodies in three countries, one of which is Indonesia. OPPO this year will also enter the smart device market by releasing smartwatches and smartphones. Because Find X was announced in June 2018, Oppo is likely to follow the same release window, but with the proximity to MWC 2019, there is a small possibility for a brief display at the event. According to the rumors, the OPPO Find Z will be sold at the price of 4999 yuan (about $741). New information about Find Z should come soon, so keep an eye on it!